The pre-shaped curved blocks have a specially curved base to fit the model. The blocks can be easily adapted to shape and carved with a wax knife. Using preformed blocks prevents the risk of porosity which may occur when sheets of wax are hand-rolled. 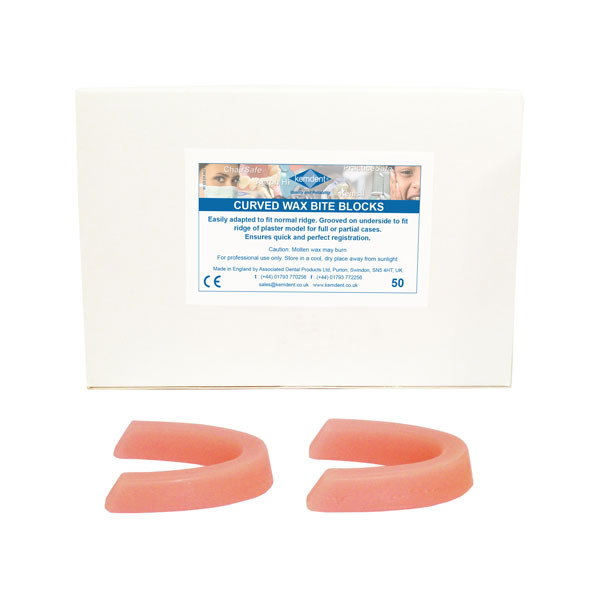 The pre-curved blocks are designed to represent the tooth position and are even quicker to use.